A clear acrylic sheet with a slight matte surface finish on one side to reduce glare and reflection. Suitable for use for applications where high lighting levels can cause distracting reflections. A clear extruded acrylic sheet with a slight matte surface finish on one side to reduce glare and reflection. Suitable for use for applications where high lighting levels can cause distracting reflections. Anti-glare or Ant reflective acrylic acrylic sheet is a high quality acrylic sheet material with a high level of light transmission. Extruded acrylic is of a slightly lower quality than cast acrylic but its production process is more economical making it a lower cost material to purchase. Produced with a fine matte surface on one side to help avoid glare by reducing reflection. Extruded acrylic has an excellent thickness tolerance meaning there is little variation in thicknesses within the same sheet of material, this is also true of the thickness tolerance between multiple sheets of material. The thickness tolerance of extruded acrylic sheet is +/- 5% while the thickness tolerance of cast acrylic sheet cab be as high as +/- 15%. 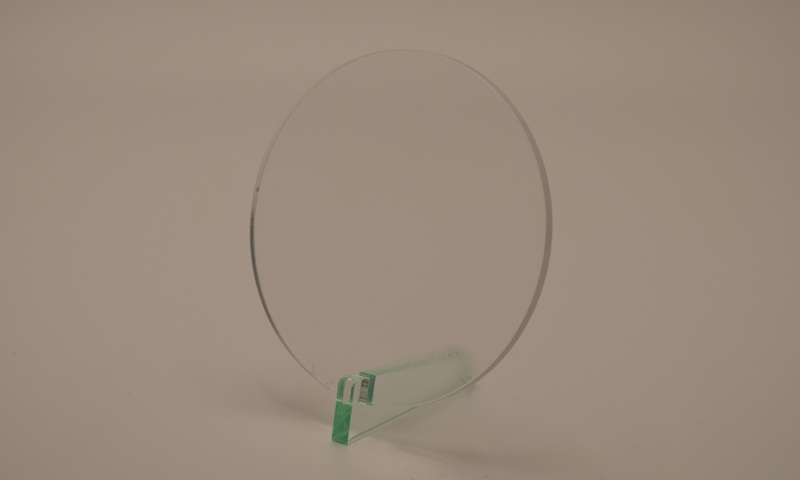 While not quite as high as the optical clarity of clear cast acrylic sheet, clear extruded sheet still performs very well in this area. The economic cost of extruded acrylic is often required for high volume projects, so unless the highest possible levels of optical clarity are required, then extruded acrylic is an attractive option. With excellent resistance to the elements, clear extruded acrylic sheet performs very well outside. No significant changes in appearance are expected over 10 years. Extruded acrylic sheet is very easy to work with. Extruded acrylic is suitable for vacuum forming making it a popular choice when complex shapes are required. Clear extruded acrylic sheet and clear cast acrylic sheet are visually very similar but are two different materials each with advantages and disadvantages and each produced by very different manufacturing processes. Extruded clear acrylic sheet is produced by an extrusion process, acrylic resin pellets are heated to a molten mass which is continuously pushed through a die, the position of which determines the thickness of the sheet produced. Once through the die, the molten mass looses temperature and can be trimmed and cut to the required sheet sizes. The continuos nature of the extruded acrylic production process produces larger batches than that of cast acrylic production making it a more economical material.